The kitchen is one of the most frequented area of many homes. In fact, it is also usually one of the most disorganized areas as well. It can be frustrating to navigate your kitchen, especially if you have trouble finding necessary items to create a meal. Thankfully there are several kitchen organization ideas that can help to keep your kitchen in tip-top shape. The very first step to organizing your kitchen is to determine what you have on hand that you don’t need. Having an abundance of things you never use will only take up valuable counter or cupboard space. The most important step to organizing your kitchen is quite possibly creating systems that work best for your kitchen and its layout. Rearrange cupboards to contain like items, close to the areas that they will be used. Put cooking utensils in an area close to your stove, cups go in a cupboard close to your beverage source and plates go close to where you usually serve meals. Having this kind of organization and system will prevent you from not being able to find things you need efficiently. Where you place items makes a huge difference in the organization of your kitchen. Items that you use frequently should be kept close at hand, at the front of cabinets and in a prime area of the kitchen. Items that you find yourself using less frequently, can be kept further away, at the back of cupboards and in pantries. Rather than putting bags and boxes straight into your cabinets, open them and put them into bins and containers. Wrapped items like granola bars can be stored in clear bins to make it easy to see what is in the container. Cereal and pasta can be kept in clear, airtight containers. Not only will this make fitting everything into your cupboards easier, but it also makes keeping track of what needs to be replenished a breeze. 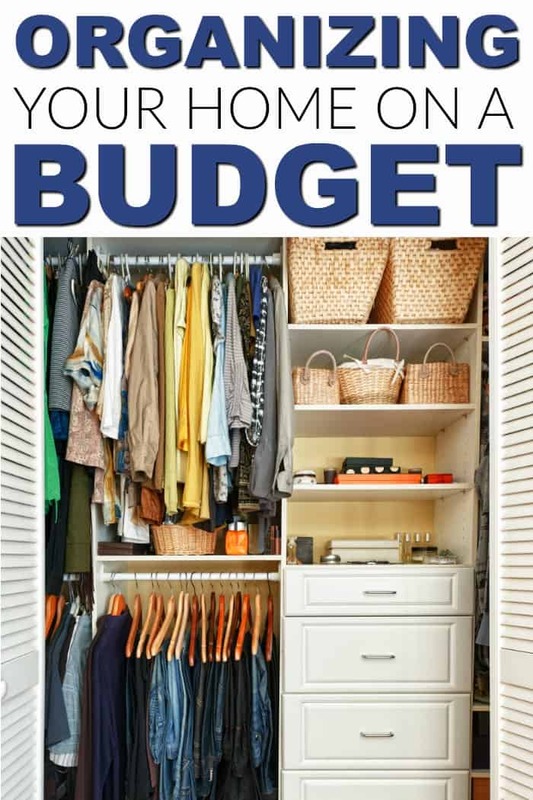 If you have space above your cupboards, use it store items you use less frequently. You can also use the space on your backsplash to attach magnetic boards. These can house knives, spices and more, getting them off the counters and far more organized. You can also use hooks under cabinets to hang things like oven mitts, so they are easy to find. There are several ways to get your kitchen in shape. 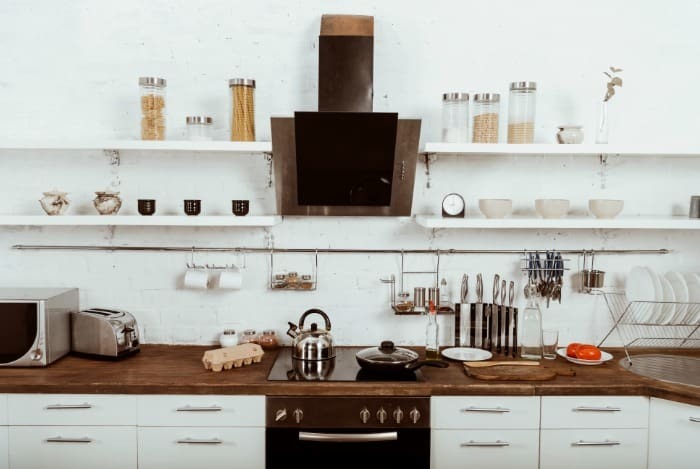 Just make sure you follow some simple kitchen organization tips and in no time your kitchen will be functional and organized. I was thinking of putting shelves over my kitchen sink to gain space! I don’t have enough cabinets. 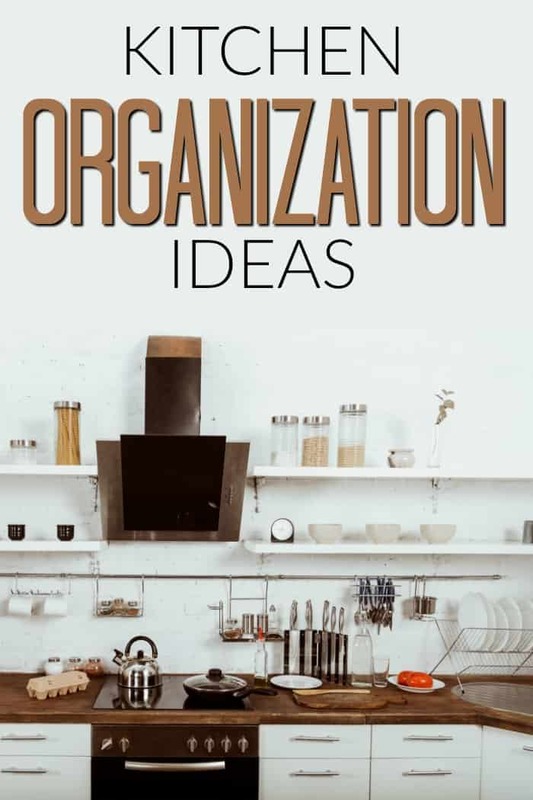 Thanks for sharing I need all the organization ideas I can use ! My house was built in the 1950’s so my kitchen is small with only a few cupboards so I’ve bought everything that stacks inside each other and I constantly organize and get rid of stuff I haven’t used. I do use containers for things like pasta, unfortunately I have a very small kitchen with very limited counter space. I can’t even swing a cat in it, as the saying goes.Thankfully I do have a pantry though nowhere near enough cupboard space. I put the items I use less often on the tops shelves since I have to get a step stool to reach them. I’d absolutely love a bigger kitchen. Installing hooks for dishcloths and mitts is a great idea! After the holidays, into January I usually get the spring cleaning bug. This will work in the kitchen so I can clean & reorganise at the same time.